In this part of my C# tutorial I’ll cover Implicit Typing, Casting, For, For Each and Arrays and StringBuilder in vast detail. 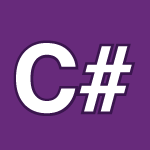 The idea for this series is to cover even more then you’ll find in a normal book so that it can act as a video API for C#. After I get passed the basics I’ll then cover most everything. All of the code and a transcript of the video follows the video below to help you learn. For best results take notes on the cheat sheet as you watch and leave any questions you have.